Q: I have not seen anything that can help me in the question list and would like to ask how to have a mouseover drop down menu closed by default. I know that by preceding it with a '+' has it open and had assumed that removing it would close it, but it does not seem to do this. Where in the scripts do I need to change this value and will this be updated in the future? Q: Would it be possible to introduce more font decoration options to the mouseover variables for the horizontal navigation?I would like to add bold as a mouseover font decoration, but obviously this is not possible at the moment. You can onlyset it's color. You cannot set the font of menu item bold when selected. 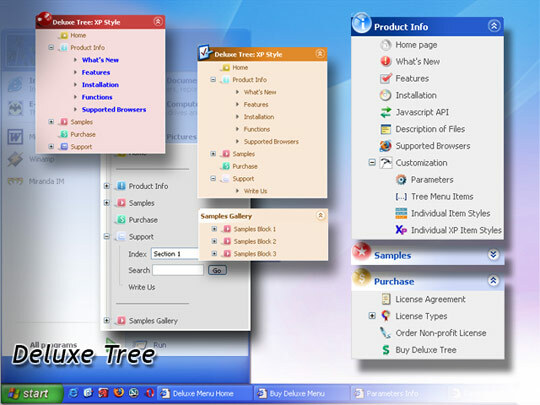 Example template with tree menu - OpenCms Wiki The menu will be just a tree of nested unsorted lists, you can style it however you want, use fo example CSS Library Horizontal CSS Menus. 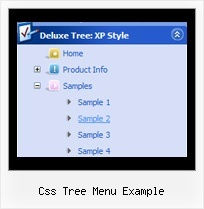 YUI Library Examples: TreeView Control: Menu-Style TreeView As with the Folder Style example, here we're using CSS to control the styling of our <link rel="stylesheet" type="text/css" href="assets/css/menu/tree.css"